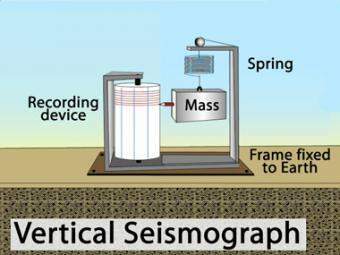 A seismograph is a device for measuring the movement of the earth, and consists of a ground-motion detection sensor, called a seismometer, coupled with a recording system. This fact sheet provides an overview of the basic components of a seismometer and physical science principles behind its operation. 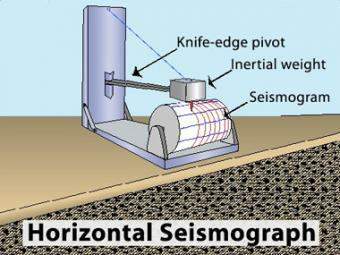 A seismograph is a device for measuring the movement of the earth, and consists of a ground- motion detection sensor, called a seismometer, coupled with a recording system. 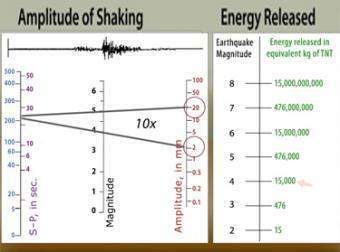 Seismometers used in earthquake studies are highly sensitive to ground movements, so that movements as small as 1/10,000,000 centimeters (distances almost as small as atomic spacing) can be detected at very quiet sites. 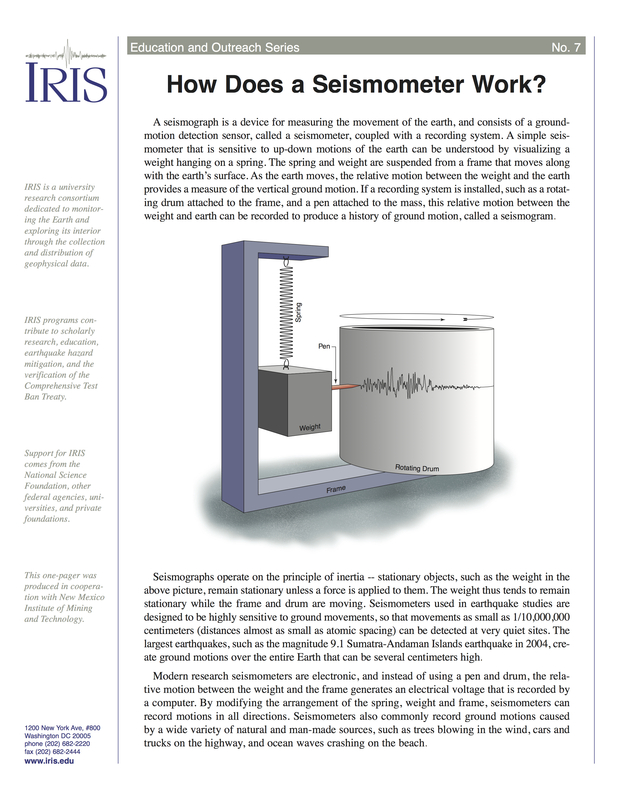 Modern research seismometers are electronic, and detect and record motions in all directions. Animation of the principles of a drum-style horizontal seismograph station that records back- and-forth (N-S, E-W) movement. Animation of the principles of a drum-style vertical seismograph station that records up-and-down movement. 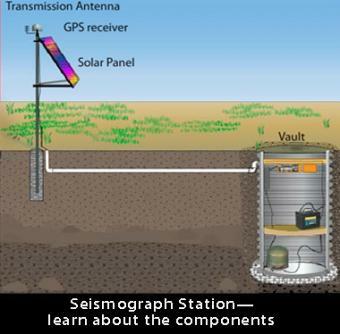 This rollover shows all the parts to a typical USArray seismic station, and how it works. Push the "Watch an Earthquake" button to see how the energy goes from the ground through the station to a distant computer. 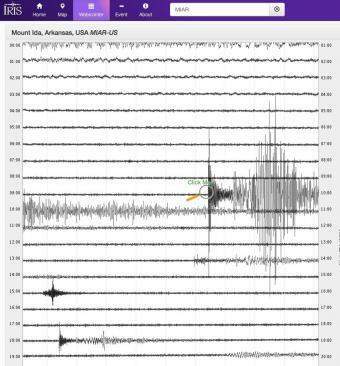 Explore earthquakes near you or from around the globe using the new IRIS Station Monitor app! Select from hundreds of seismic stations throughout the world. View up-to-the-minute recorded ground motions or see recordings from previous days and past events. Get information about recent events and choose to annotate wave arrivals. 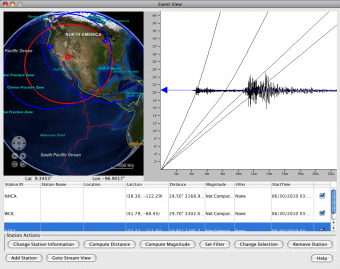 jAmaSeis is a free, java-based program that allows users to obtain and display seismic data in real-time from either a local instrument or from remote stations.